Karen Brereton is an Advanced Aesthetic Nurse Practitioner and has been providing aesthetic skin treatments to patients since 2008. She is able to offer a wide range for treatments to reverse the signs of ageing or improve the overall appearance of skin. Wrinkle and fine-line reduction injections – These injections last around 3-6 months and are ideal for lines around the eyes, nose, forehead, neckline (Nefertiti neck lift). These injections can also be used to treat excessive sweating from the armpits and palms. Dermal filler injections – These can improve and hydrate the skin texture and reduce the appearance of deep lines between the nose and mouth and also around the mouth. This treatment can also be used to add volume definition to lips. Sclerotherapy – many people have unsightly thread veins and spider veins on their skin (mainly legs). Karen can inject these with a special solution that will completely remove these unsightly veins. The treatment is completely painless. Mesotherapy injections – Karen uses these injections for facial rejuvenation, hair loss and cellulite. Plasma Rich Platelet Therapy – this treatment uses elements from your own blood to rejuvenate skin. The Vampire Facelift, a treatment popularised by Kim Kardashian utilises this therapy. Skin Peels and prescription skin products – Karen offers medical peels such as Easy tech TCA or Neostrata glycolic peels and chemical skin peels from Dermaquest. She also offers the full Obagi range for all skin conditions such as acne, scarring, pigment or ageing skin. Karen qualified as a Registered Nurse in 1997 after obtaining a diploma in higher education of Nursing. She worked for 2 years in general surgery, following which she worked in A&E at the University Hospitals of Leicester. During this time, Karen became a skilled A&E Nurse and Nurse Practitioner, undertaking courses in Advanced Life Support, Advanced Trauma Life Support and Suturing. She completed a City and Guilds in Teaching and Assessing before going onto study for a Batchelor of Science in A&E Nursing and gaining a Specialist Practitioner qualification. Subsequently, Karen obtained a degree in Pharmacology and in 2012 became an Independent and Supplementary Nurse Prescriber after completing a further degree in the study of medicines and prescribing. Karen is a member of the British Aesthetic Cosmetic Nurses Association (BACN). Karen’s love of suturing and repairing skin led her into a full-time career in aesthetics. 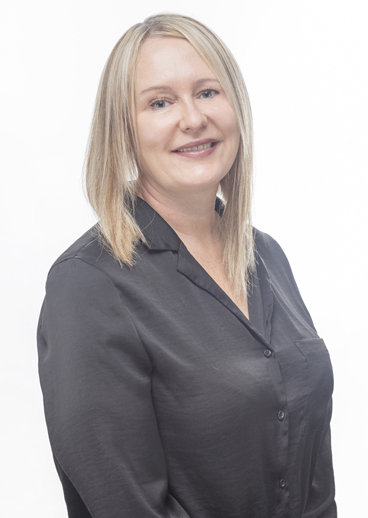 Karen has practiced Aesthetic Nursing since 2008, and today is an advanced Aesthetic Nurse Practitioner offering bespoke treatments to our patients.